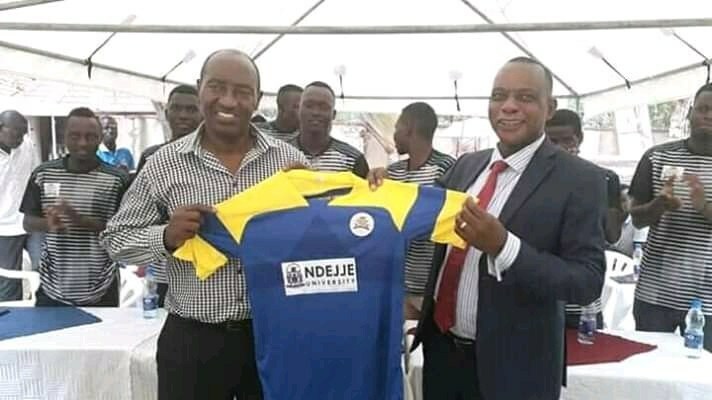 LUWERO – Former Uganda Cranes head coach, Asuman Lubowa has been appointed as the Technical Director of StarTimes Uganda Premier League side, Ndejje University. Lubowa joins Ndejje at time when the club is facing relegation fears despite winning their last league game, 1-0 away to Maroons. The Students have been treated to a baptism of fire in the top flight, winning only three of their opening 19 games of the season. The arrival of Lubowa is aimed at helping avoid the drop, something which will be a miracle they can achieve it. Upon arrival to the team, Lubowa urged the players to remain focus and ensure team work. “I urge the team players to remain focused, disciplined and work as a unit to foster team work. Said Lubowa. Besides coaching the Uganda Cranes, Lubowa has also coached the Uganda U-23 team (Kobs) with vast experience having played for the national team and coached several clubs as Express, Sports Club Villa, KCCA, Police, National Insurance Corporation (NIC), Posta, Uganda Airlines, Posta, UMEME before serving as the Federation of Uganda Football Associations (FUFA) technical director for nine ‘enviable’ years. Lubowa is best remembered for leading the Uganda Kobs team to the 1995 CECAFA Cup final. He was appointed Uganda Cranes head coach after the Kobs job and guided the Uganda Cranes to the 1996 CECAFA Cup in Sudan before resigning in April 1999. Lubowa is expected to impact for the better his vast knowledge alongside the current coaching hierarchy led by head coach Raymond Timothy Komakech. Lubowa’s first assignment along with Komakech will be at home to Tooro United at the Arena of Vision, on Wednesday.